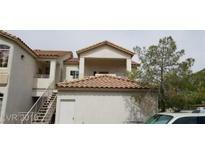 Below you can view all the condos for sale in the Pacific Legends subdivision located in Henderson Nevada. Listings in Pacific Legends are updated daily from data we receive from the Las Vegas multiple listing service. To learn more about any of these condos or to receive custom notifications when a new property is listed for sale in Pacific Legends, give us a call at 702-323-5973. 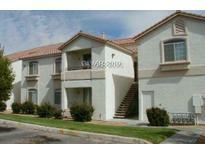 Enjoy your peaceful retreat just north of the 215, convenient to Stephanie and The District shopping and amenities. MLS#2089139. Realty ONE Group, Inc. Some furniture will be available for purchase-Negotiable. MLS#2079830. TR Realty. Resort Type Living: Gated, Community Pool/Spa, Fitness. Welcome Home! 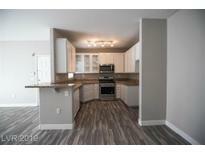 MLS#2073810. Movoto, Inc.
Great Upstairs Unit W/ 1 Car Detached Garage* Granite Counter* All Appliances Included* Balcony* Set Up As 2 Master Bedrooms* Gated Community In Green Valley* Easy Freeway Access Off Of 215/Valle Verde! MLS#2061856. Key Realty Southwest LLC. ****great Location Right Off The 215****gated****nice 2 Bed 2 Bath Upstairs Condo****1 Car Detached Garage****walk To Shopping Including Kohl's And Smiths****resort Pool & Spa****fitness Room****must See MLS#2055715. PR Properties Group. Easy freeway access. Gated community very well maintained. MLS#2036929. Keller N Jadd.